After immense popularity of private cab services across the nation, the Telangana state has come up with a new scheme that will provide monetary assistance to the drivers who are not working under any private cab services. The scheme is mainly launching for the people who belong to backward classes and minority communities. The official registration under the scheme is yet to start now. Driver Empowerment Program is a scheme that is launched to offer financial assistance to the drivers from backward classes and minority community. Under the scheme, drivers who do not own cars will get financial assistance to buy their own car for survival. 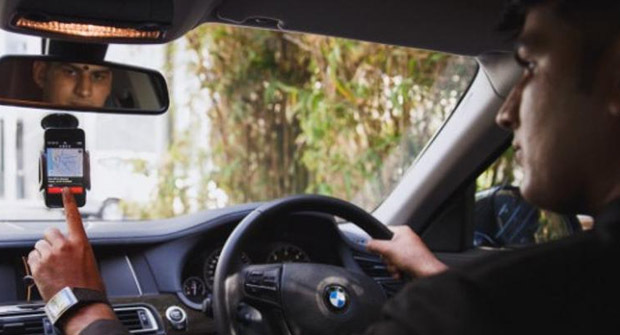 As soon as the popularity of private cab services gets increased, regular taxi drivers get insecure as they are not able to earn much money on a regular basis. The state government of Telangana aimed to give them the opportunity of owning cars and join private cab services for survival. Drivers who belong to scheduled caste, scheduled tribe, other backward class and minority community will be eligible for the scheme. Only drivers who have valid licence will be eligible. All the drivers, belonging to mentioned class, need to have valid licence issued from RTA. The driving licence must be made on or before 31st December 2016. Drivers, who earn less than equal to Rs. 1.5 Lac per annum in rural areas and Rs. 2 Lac per year in urban areas, will be eligible. Also the applicant must pass at least 8th standard and equivalent or more. Registration for the scheme will take place for 14 days in the month of February 2017. From 15th of February 2017 until 28th February 2017 the registration process will take place. It will be only online registration process and no offline application will be available. Documents 1 and 3 are optional. Candidates may or may not hold PAN card so it is not a mandatory document to submit. Also, as per the rule the candidate needs to pass 8th standard so not everyone holds 10th standard mark sheet. The other two documents are mandatory. For the driving licence front side and back side, both scanned copy need to be uploaded. As mentioned no offline mode of application is available under the scheme only online mode is applicable. To apply for the scheme candidates are required to fill up an online form that is available in the following website http://tsobmms.cgg.gov.in/driverEmpowermentRegistration.do . By clicking on this above mention link you will be redirected to the online form where there is some information that one must enter. The first and most important information needs to be entered is personal details. Along with personal details, aadhaar number, Meeseva caste number, caste details and other caste and community related information need to be entered properly. Finally driving licence details like date of issue, licence number and the preferred location of driving are mandatory fields to be filled. In the last segment of the form there are places where the scanned copy of mandatory and optional documents is to be uploaded. Finally with clicking the submit button will let the candidate finish the application process. This scheme is mainly launched to provide financial assistance to the drivers to buy their own cars. Those who don’t have cars yet working for other cab services will now get their own car. Once the driver gets his own car he can join the private cab service Uber. The scheme will start in association with Uber cab services. Drivers under this scheme will be able to work under Uber service. Also, this scheme will provide driving training and financial assistance to each registered driver. By financial assistance it means that each driver will get easy loans from the state government to buy cabs. Along with financial assistance and cabs the drivers will also get easy access to Uber App through which they can receive the riding request like other app based cab services allow drivers. Drivers can choose their preferred location for a ride. As, for example, those who want to drive within Hyderabad can select this option. Others who want to go out of the town can choose this option too.